July or so: Behind the scenes video of Adam #2 recording sessions to be released. 7.29.11 Adam performs at the St. Agathe en Feux Festival in Sainte-Agathe-des-Monts, QC, festival concert. 8.7.11 Adam Lambert “Behind the Music” premieres on VH1 Sunday, August 7 at 10:00 PM ET/PT. Select full episodes of “Behind The Music,” as well as extended interviews and footage will be available at BehindTheMusic.VH1.com. 8.14.11 TAPING Adam at the Adam at the VH1 Do Something Awards. Late August 2011 – Date TBD, unconfirmed – Adam will be a guest judge on Project Runway. His episode was taped on 7.14.11. October or November 2011 (Date and Time TBA) MTV Talk@Playground with Adam and SKINGRAFT’S Johnny Cota. Will be broadcast internationally. Thanks to @glitteronmyeyes for this list! anyone else curious about which concerts are officially SOLD OUT? maybe a better question is which ones still have tickets! SUMMER TOUR… FOUR MONTHS OF CONCERTS ACROSS THE U.S. AND CANADA!!!!!! More dates to be added soon! May 19 – Adam performs on Ellen!!!! General public tix on sale Monday at 10am! June 22 – New York, NY, Nokia Theater The tickets for NOKIA June 22nd don’t go on sale till MAY 1st. July 06 – Concert Knoxville, TN, Tennessee Theatre. July 09 – Concert Cleveland, OH, Allen Theater. July 12 – Concert Chesaning, MI, Chesaning Showboat Music Festival. July 17 – Concert Denver, CO, Paramount. July 20 – Concert Seattle, WA, Showbox SoDo. August 19 – Concert Hyannis, MA, Cape Cod Melody Tent. August 20 – Concert Cohasset, MA, South Shore Music Circus. September 04 – Concert Rockford, IL, On The Waterfront. March 19 – Adam is due to land at Heathrow airport at 2:18 PM and depending on how he’s feeling he may or not make it to the Sony headquarters. April 10- Flying to Las Vegas. Adam Lambert to mentor contestants at Cirque du Soleil in Las Vegas where “Viva Vegas” a musical featuring Elvis music is playing. April 13 – ADAM LAMBERT MENTORS AMERICAN IDOL – he is the first Idol contestant to be a mentor and he is going to be the most exciting thing that has been on that stage this year!!!! April 13/10 FYE release date for Argentina Source: Sony Music Argentina. April 14 – ADAM LAMBERT performs on AMERICAN IDOL. According to his tweets, he has promised a family friendly performance. But, we know he always has a couple of surprises so lets wait and see! Go Adam! For BBC Switch Radio 1 show and future BBC 2 slot. (tbc) To leave ready for performance. As new dates are announced for Adam Lambert’s U.S. tour this summer, Adam Official will be coordinating weekly pre-sales by emailing exclusive passwords to its registered site users. To receive the secret password via the Adam Official newsletter each week, fans simply have to sign-up for an AO account and be sure to check the box marked “Yes, I want to receive the latest news & updates” in the SUBSCRIPTIONS section of their profile. May 05/10: Release of FYE in Scandinavia. May 05 – May 06 – Adam returns to London on his way back to the US. May 6TH – Adam returns to the US! A gold mine of information!!! Thank you so much!I don’t see how any human can keep up this schedule. ‘Hope our boy gets some R&R soon, but it doesn’t look good! WOW !! Thanks of the tour dates ! WOW WOW ! DO WE HAVE ANY WEBSITE TO BUY TICKETS JUST FOR ADAM FANS??? Thanks a bunch !! AB, you have someone on the inside….you must. 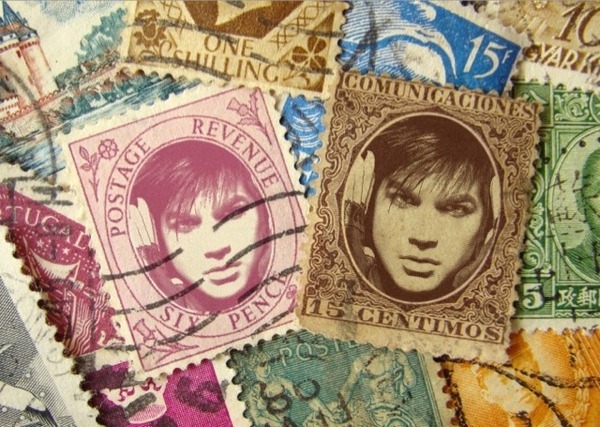 Amazing collection of Adam itinerary. Bravo. Thank you so much.. Glad that others are getting as much joy out of this blog as I do! IFLAFL! Latest news : I just called Thunder Valley Casino – Sacramento, CA – Tickets on sale (postpone) May 22 (not May 8) !